Toddlers can be a nightmare, can’t they? 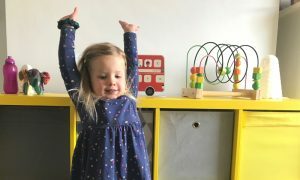 From about the age of two you may witness the signs of a toddler tantrum including the refusal to get up from the pavement, or lying down and screaming in the supermarket aisle, or their constant shouty demands for food. Alongside this there is potty training to contend with. One of the ways to try to change your child’s behaviour or to encourage them to do some differently is by using a reward chart. For me this used to be in the more traditional format drawn onto a large sheet of paper where a sticker was rewarded for good behaviour or if the potty was used. However more recently we’ve been using the TOTSUP Red Bus Reward Chart to help control the awful toddler tantrums we’ve been having of late. This iconic London bus is ideal for my daughter. Why? She loves a red bus and loves to point them out on her way to nursery in the morning. 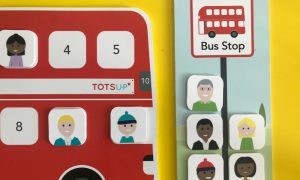 So when TOTSUP contacted me to reward their Red Bus Reward Chart I couldn’t say no, plus I needed something to try and improve the daily tantrums. The reward chart arrived in a really nicely packaged box and straight away I knew that this was something special. Inside in the bus and its stand, the bus stop and its stand, plus 10 people and a batch of stickers for your child to stick their name onto the side of the bus. The bus and the bus stop are magnetic allowing the people to easily be transferred between the two. The purpose of the red bus reward chart is to create a fun way to reward good behaviour and give your child something fun to do when they behave. If your child is well-behaved or uses the potty correctly they move a person from the bus stop onto the bus. I find rewarding good behaviour fairly tricky and it can be difficult to set the parameters. 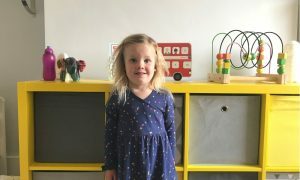 I reward for each time my child uses her P’s and Q’s, or over a certain time period (such as a an hour) if she has been good. Rewarding for potty training would be a lot easier as you easily move a person onto the bus when the child has successfully used the potty. We didn’t have the bus but for potty training, but I do think it would have it made the transition a lot easier if we had. 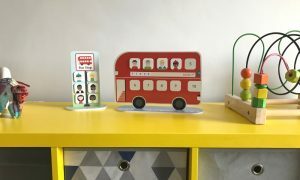 The next step of the red bus journey is once all 10 people are on the bus, your child is rewarded with a special treat. This way they don’t get a special treat for every sign of good behaviour and is something that they need to work towards instead. The same applies to potty training or if they remain in their bed at night. We have been using ours in a slightly different way, so that when my daughter is naughty a person is removed from the bus, to consciously tell her that being naughty takes her even further away from receiving that special treat. We are really enjoying our red bus and I do think it is helping to curb her toddler tantrums. When we’re not using it she is quite happy to play with it. It’s a fantastic reward system to have, its versatile and can be used in many ways to reward children. It’s also particularly well made, it is all magnetic so it can be used time and time again, and passed from child to child. 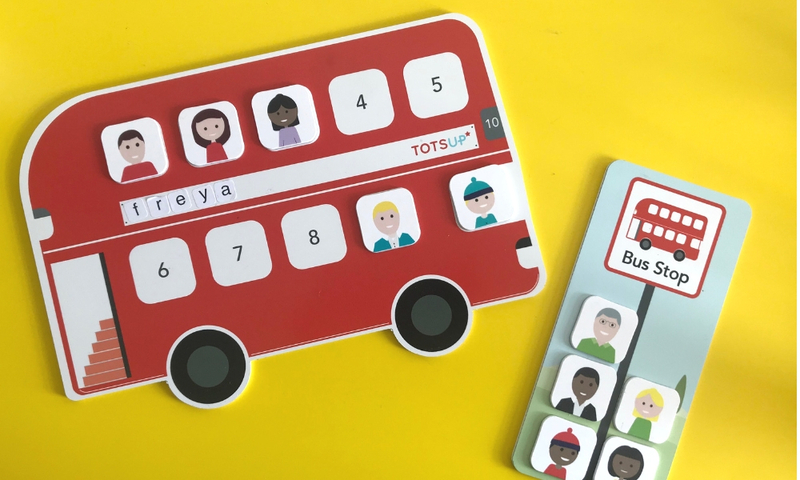 The TOTSUP Red Bus Reward Chart is available at TOTSUP for £22.95, plus there is also a festive themed bus you can buy as we approach the Christmas season. Thank you so much to TOTSUP for providing us the Red Bus Reward Chart in exchange for this review.